Yeah, yeah, I know- I'm only 3 weeks late with this post. But I've been busy getting married and all that jazz so cut me some slack. This session of General Conference was amazing, as usual. I know there are a lot of them, but I wanted to share my favorites. If you click on each name, it will bring you to the full talk where you can either watch or read it. -Keeping covenants protects us, prepares us, and empowers us. -Our journey on the path is personal and well lit with the Savior’s love. -Temple ordinances lead to the greatest blessings available through the Atonement of Jesus Christ. -As individuals we are strong. Together, with God, we are unstoppable. -There is no age barrier when it comes to Christ-like service. -Let us all reach out to help one another through the transitions and milestones of our lives. -We are blessed to work hand in hand with righteous brothers as we strengthen homes and families. -We have been blessed with tender and charitable natures which enable us to render Christ-like love and service to those around us. -We are to "lay aside the things of the world, cleave to our covenants," and come unto Christ and follow him. -As we try our best to move forward along the covenant path, we become more complete and perfect in this life. -We cannot do the difficult things we have been asked to do without help. -Your Heavenly Father sees greater potential in His children than we see in us. -Every daughter of Eve has the potential to bring the same blessing to her family that Eve brought to hers. -He will provide the help that you need to move yourself and others upward along the way back to His presence. -We are gathered together as a great family, more than 15 million strong. -We are a temple-building and a temple-attending people. -You will one day find yourself called upon to defend your faith, simply because you are a member of the church. -Christ-like love is the greatest need we have on this planet in part because righteousness was always supposed to accompany it. 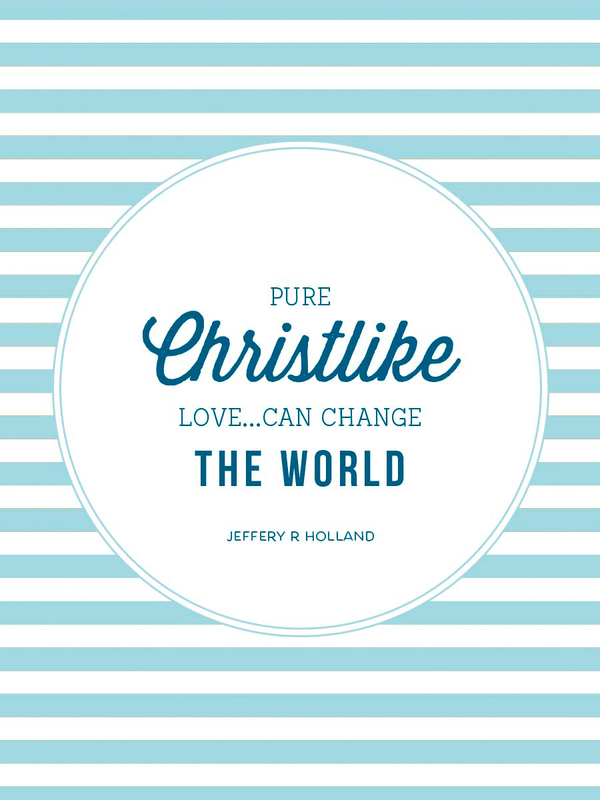 -Pure Christ-like love flowing from true righteousness can change the world. -Be strong. Live the gospel faithfully even if others around you don't live it at all. -Defend your beliefs with courtesy and with compassion, but defend them. -Christ continues to walk with us, stand by us, and lead us. -Reaching out to rescue one another, under any condition, is an eternal measure of love. -We as parents and leaders need to counsel with our children and youth on an ongoing basis, listening with love and understanding. -The only things that really needs to be accomplished in the home are daily scripture study and prayer, and weekly family home evening. These are the very practices that help take away stress, give direction to our lives, and add protection to our homes. -The world will not glide calmly toward the Second Coming of the Savior. -Challenges will come to you, but, as you trust in God, they will strengthen your faith. -Families are the treasure of heaven. -Everyone, independent of his or her decisions and beliefs, deserves our kindness and consideration. -In the gospel of Jesus Christ, there is no place for ridicule, bullying, or bigotry. -The way you feel in the temple is a pattern for how you want to feel in your life. -Whoever you are and wherever you may be, you hold in your hands the happiness of more people than you can imagine. -The happiness of eternal life comes through family bonds which continue forever. -God makes it attractive to choose the right by letting us feel the effects of our choices. -Oh, things will work out. -If you let Him be the leader of your family, things will work out. -One of the realities of mortal life is that our faith will be tested and challenged. -Faith in the Lord Jesus Christ can be bolstered as we learn about Him and live our religion. -There is only One in whom your faith is always safe, and that is in the Lord Jesus Christ. And you need to let your faith show. -Truth is truth! It is not divisible and any part of it cannot be set aside. -Keeping divine commandments brings blessings, every time. Breaking divine commandments brings a loss of blessings, every time. -Day after day, on your path toward your eternal destiny, increase your faith. Proclaim your faith. Let your faith show! -They simply loved me and loved Father in Heaven. Both knew He could do more with my life than I could on my own. -Sincerely love those we want to help in righteousness so they can begin to develop confidence in God's love. Giving them confidence in your love can help them to develop faith in God's love. 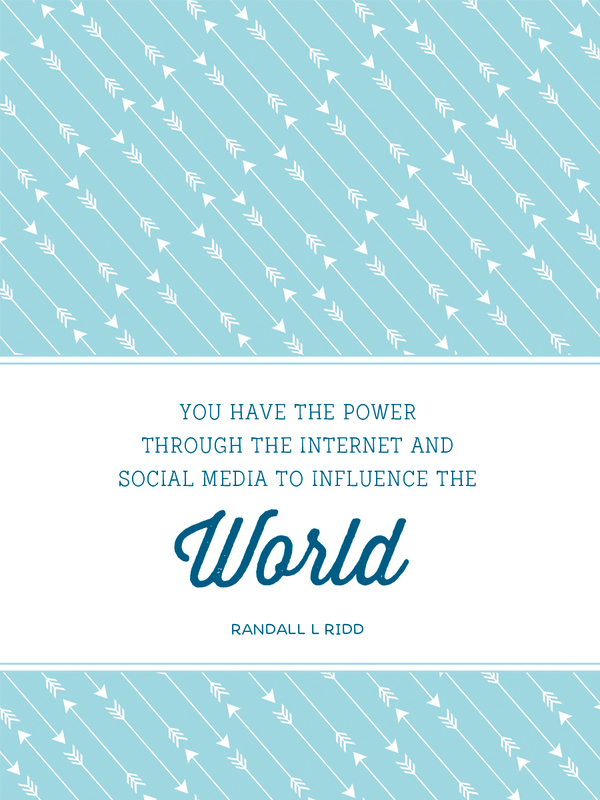 -We best serve our Father in Heaven by righteously influencing others and serving them. -Our love of the Savior is the key to Savior-like obedience. -As disciples of Christ, we have a sacred obligation to uphold His laws and commandments. -Obedience makes us progressively stronger, capable of faithfully enduring tests and trials in the future. -May we love Him so deeply and believe Him in faith so completely that we too obey. -There is no up or down in the service of the Lord. There is only forward or backward. -The sisters have authority given unto them to do some great and wonderful things, sacred unto the Lord. -Qualifying for exaltation is not a matter of asserting rights, but a matter of fulfilling responsibilities. -When our time in mortality is complete, what experiences will we be able to share about our own contribution to this period? Will we be able to say that we rolled up our sleeves and labored with all our heart, might, mind, and strength? -Those who turn their lives over to our Savior discover a richness and fullness to life that the selfish will never experience. -Don't lose faith. Keep your heart close to the Lord and He will give you power of deliverance. He will make you free. -When you know that you are a child of God, you also know that He expects much of you. -As you pray and serve others, your knowledge that you are a child of God and your feeling about it will grow. -If we seek credit in this world for our service, we may forfeit greater blessings. -Remember that of all the service you give, none is greater than to help people choose to qualify for eternal life. -Each of can make a difference. We have been prepared for our time and place in the last days. -As you give your whole heart to this work, He will magnify you. -Decisions are constantly before us which can determine our destiny. In order to make the correct decisions, courage is needed- the courage to do the right thing because it's right. -We will almost certainly be called upon to defend that which we believe. -He who stands steadfastly for that which is right must risk becoming at time disapproved and unpopular. -Are you the same person wherever you are and whatever you are doing? The person Heavenly Father wants you to be? -All acts of courage do bring peace of mind and knowledge that right and truth have been defended. -It is impossible to stand upright when one plants his roots in the shifting sands of popular opinion and approval. -Courage, not compromise, brings the smile of God's approval. Courage becomes a living and an attractive virtue when it is regarded not only as a willingness to die manfully but also as the determination to live decently. -All of us experience times when the very fabric of our world tears at the seams, leaving us feeling alone, frustrated, and adrift. -There is one thing we can do to make life sweeter, even joyful, and even glorious. We can be grateful! -I don't believe that the Lord expects us to be less thankful in times of trial than in times of abundance and ease. -How much of life do we miss by waiting to see the rainbow before thanking God that there is rain? -True gratitude is an expression of hope and testimony. -We are made of the stuff of eternity. We are eternal beings, children of the Almighty God. Endings are not out destiny. The more we learn about the gospel of Jesus Christ, the more we realize that endings here in mortality are not endings at all. In His plan there are no true endings, only everlasting beginnings. -Have we not reason to be filled with gratitude regardless of the circumstances in which we find ourselves? -How blessed we are if we recognize God's handiwork in the marvelous tapestry of life. Gratitude to our Father in Heaven broadens our perception and clears our vision. -Gratitude is a catalyst to all Christ-like attributes! -Our Father in Heaven reaches out for each of us with His infinite love. -Whenever the dark shadows of life blanket my world, I know He always has a plan to see my safely home again. -We can trust that He will help us, not necessarily in the way we want but in the way that will best help us to grow. -The gospel is not weight, it is wings. -We are not and never need be along. We can press forward in our daily lives with heavenly help. -His Atonement enables us to do good and become better in ways that stretch far beyond our mortal capacities. -It is one thing to know that Jesus Christ came to the earth to die for us. We also need to appreciate that the Lord desires to enliven us. -The Son of God perfectly knows and understands, for He has felt and borne our individual burdens. -Love is the very essence of the gospel and Jesus Christ is our Exemplar. His life was a legacy of love. -Beyond comprehension is the love of God for us. -Heavenly Father, I am glad that You are always here and there. -Knowledge which is of eternal value comes only through personal prayer and pondering. -One eternal truth that I have come to know is that God lives. He is our Father. We are His children. -The promise of eternal increase will not be denied any faithful individual who makes and keeps sacred covenants. -Your secret yearnings and tearful pleadings will touch the heart of both the Father and the Son. -Arms now empty will be filled and hearts now hurting from broken dreams and yearning will be healed. -He is the anchor that holds us and protects us and our families through storms of life. -Always be ready to receive the gentle tug of the Spirit. -To succeed in life, we must teach our spirit and body to work together in obedience to God's commandments. The Holy Ghost can unite our spirits and bodies in purpose and guide us back to our eternal home. -Strong, proactive obedience is anything but weak or passive. -Obedience is a choice. It is a choice between our limited knowledge and power and God's unlimited wisdom and omnipotence. -Revelation has not ceased, the Heavens are not closed. God speaks to prophets today and He will speak to you and me as well. -The family is the pattern of Heaven. -In times of calamity or tragedy, the Lord has a way of refocusing us and our priorities. -The family is ordained of God. It is the most important unit in time and in eternity. -I assure you that our Heavenly Father is mindful of us. He will guide and bless us as we put our faith and trust in Him. -May we realize how close to us He is willing to come, how far He is willing to go to help us, and how much He loves us. I also wanted to share this wonderful video which I'm sure you've already seen floating around Facebook. And yes, I realize I missed Easter too, but it's still applicable and tugs at my little heart strings.